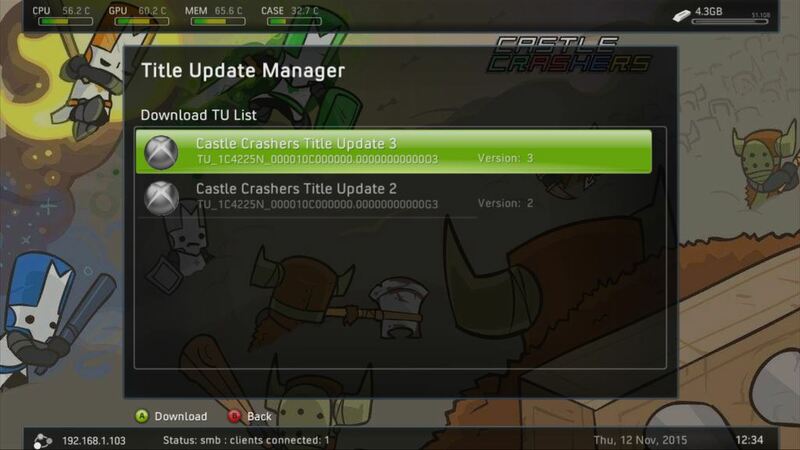 -you can see all avaliable TUs for the game(it means, you can update games like GTA V). 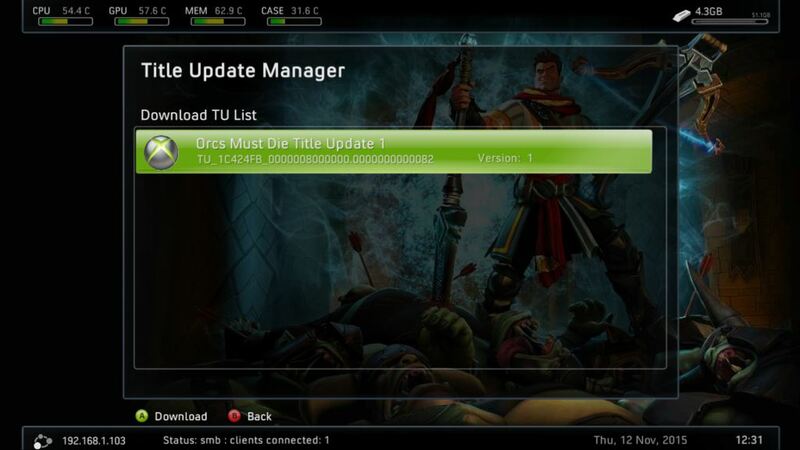 but, if TU`s mediaid differs from mediaid of installed game, TU`s displayed name would be something like "MID:0C48794E GTA V Title Update 26", where "MID:0C48794E" - TU`s mediaid. uploaded scripts and tool to create patched xex on github. you can create your own cover libraries(with a little bit of php scripting and database) or just use your own server for faster response. anyway, use your imagination. What version is this for? 775? it force me to switch to Aurora. at least from my experience i can say, Aurora never freezes. But i love FSD, if your version is fixed from above issue than surely i am going to use FSD again. 1. it downloads covers from xboxunity, but "push to xbox" doesn`t work. i tried to get some help from the developers, but they didn`t respond. i came up with several ways to implement this functionality, but in my opinion they are harder than changing cover through webui. 2. covers are in the best possible quality. I managed to find the "weather problem" with the api. But I need some help with starting all this together. Can anyone there help me with it? 1. I took the original FSD 3.0 rev 775 and decompress and decrypt it with xextool. 3. I compressed it and encrypt, have the file but i wonder if this can anyhow broke my console. So if anyone knows the safe method of starting this up (like... two dashes is safe or whatever else checked by you) - I'll boot it up, or send it to you. It would be nice if the filter TU's just for the mediaID of the game. What's the point? You can easily see suitable tu's, they don't have MID:XXXXXX in their names. And this feature is usefull for multidisc games. Thanks a lot for this Gualdimar. Been using it for a while now. I like the fact it doesn't filter all the non-matching Media ID TU's from view. It's especially handy for games that use disc 2 to boot (eg. Watch Dogs), where you have to grab one of the 'MID' labeled TU's. Weird thing is, about three weeks or so ago, cover downloading just seem to stop working for about a week, whereas the other modded version carried on working. Strange. I tried yours again today and it was working again, so I've gone back to your version. Cheers. So you did. Apologies. To be honest, it's been working pretty well for months now and I'd forgotten what you said about the host. Cheers.